What is the ideal age for orthodontics? There is no one answer to this question because each orthodontic problem determines its own best starting time. For this reason the American Association of Orthodontics recommends that every every child first visit an orthodontist by age 7 - or earlier if an orthodontic problem is detected by parents, the family dentist or the child's physician. 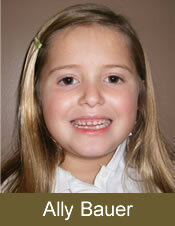 Our preference is to examine patients around the age of 7, when the upper front teeth have erupted. However, with special circumstances, we may initiate treatment earlier. Orthodontics is one of the best investments you can make for your child or yourself. It's never too late or too early to consider treatment. Why not give a gift that lasts a lifetime, a beautiful smile! Please contact us for a complimentary examination today! The best way to determine if you need orthodontics is to come to the office and have a FREE OF CHARGE ASSESSMENT of your tooth and bite relationships. If you have any questions about your benefits and needs, our office is always happy to provide an examination and give you a no obligation evaluation of your orthodontic needs. What shall I look for in my child? Things we look for are crowding teeth, protrusive teeth, and/or evidence of the jaws being out of balance. Teeth or jaws that don't look right to you are probably good reasons for a more detailed examination by Dr. Brad Bauer. Do I need to be referred by my dentist? It is not necessary to be referred by your dentist. We are happy to evaluate your circumstances and make a referral to a dentist when indicated. YOU DO NOT NEED TO BE REFERRED BY YOUR DENTIST. We have treated patients 80 years old with braces. 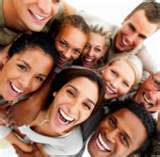 The health of an individual's teeth, gums, and supporting bone is what is most important in determining the prospects for improving an adult's smile and dental health. Age is no limit. Approximately 1/3 of our patients are adults! We welcome adults in our practice. The good news for adult patients is that with the new space age wires and techniques we use, discomfort is largely eliminated, Visits to our office are less frequent, overall treatment times are shortened, and clear brackets make braces virtually unnoticeable. We are achieving some fantastic results with adults. Our adult patients all agree that it's never too late to get the smile you want and deserve. When are patients too young for braces? Our preference, and the recommendation of the American Society of Orthodontists, is to examine patients around the age of 7, when the upper front two teeth have erupted. However, with special circumstances, we may initiate treatment earlier. What is the benefit of starting treatment early? What happens if I need treatment and I don't get it? What Is Meant by the Word "Malocclusion?" This is a technical term we may use to describe teeth and jaws that do not fit and work together correctly. In simple terms, it means a "bad bite". What Problems Are Caused When Teeth Are Crooked? Beyond the loss of self confidence many people feel, crooked teeth are harder to keep clean, increasing the risk of tooth decay and gum disease. Sometimes it's harder to chew certain types of healthy, high fiber foods, causing either digestive difficulties or avoidance of the offending foods. Other people may experience discomfort in their jaw joints from the improper alignment of teeth and gums. If your teeth protrude, they may be more likely to chip or fracture. An improper bite may even cause teeth to wear unevenly or faster. What Are the Different Types of Orthodontic Problems? Any number of problems can create the need for orthodontic treatment, from crooked, crowded or improperly spaced teeth to an overbite, underbite, closed bite or crossed bite. Do I Need to See an Orthodontist If My Teeth Are Crooked, or Can My Regular Dentist Help Me? All dentists receive some training in orthodontics, so you may wish to begin by discussing your options with your regular dentist first. He or she may recommend that you see an orthodontist. These specialists have completed advanced educational programs after dental school and have received the in-depth training and learned the critical skills necessary to manage the complexities of tooth movement and facial development guidance. What Steps Does Orthodontic Treatment Involve? Take x-rays, of your mouth and head . Do you need to have extractions for orthodontics? For the past 30 years, we have chosen to practice a basic orientation of non-extraction correction of orthodontic problems, Our practice pays attention to re-establishing the jaw sizes to accommodate all teeth. Years ago, orthodontists looked at crowded teeth as though they were building a house, If they were delivered an 8 room house to put on a 4 room foundation, they simply removed 4 of the rooms, For the last 30 years, we have taken the philosophy of making the 4 room foundation wider and larger to become an 8 room foundation, thereby accommodating all of the teeth. This has allowed, in most instances, better facial balance, and more attractive and healthier faces. How will I choose an orthodontist? Probably the best way to choose an orthodontist is to ASK FRIENDS AND NEIGHBORS who have had good relationships and good outcomes with an orthodontist or to ask people what their experiences have been, It is not dissimilar to how you choose a banker or how you know where to buy your car or goods. If you know that somebody provides the best service with the finest results, then this is the place to go. And asking your friends is probably the best way to ascertain this. On your first visit you will be shown a tour of the office so you, have a comfortable feeling. You will meet Dr. Bauer and some of the staff. They will examine your mouth, and after that study and examination. They will evaluate you for whatever problems are discovered. He will then review a course of treatment that would be beneficial to you. It is important to know the first visit is a free-of-charge experience. Our effort is to be certain you have all the information you need to make a wise choice regarding your dental health. Braces are a system of brackets that are bonded to your teeth and hold a interconnecting, wires. The wires used today, made of a nickel-titanium, are generally thinner and more resilient than those used in previous years, shortening treatment time and improving overall comfort. Over time, the steady, gentle pressure applied to the teeth helps move them into the correct position. There is usually some discomfort when a patient first gets their braces (brackets) on. It might be necessary to use wax in certain places for a few days where the mouth and tissues are a little tender. With most patients, in a day or so the tissue have adjusted to the point where they don't even notice that they have something new in their mouths. This question is like going to an airline window and asking how long does an airplane ride take. How long it takes to straighten teeth will vary depending on the desired correction and the individual. How often do I come in with braces on my teeth? Generally speaking our appointments are spaced about EVERY 6-8 WEEKS. The development of new space age metals in the last few years has greatly changed the way the teeth move. The new materials allow tooth movements to be much greater with less force, and the orthodontic appliances are effective over a much longer period of time. This is a benefit to patients in comparison to the old days when patients were seen once every 4 weeks. We recommend that our patients visit their general dentist while braces are on. Twice a year is the minimum, and sometimes we recommend every 3 months depending on particular circumstances. Braces are made of stainless steel, and the wires are made of nickel, titanium, and molybdinum. All these metals are compatible with the fluids of the mouth and do not rust. Do you recycle orthodontic appliances? No, we don't recycle orthodontic appliances!! Every appliance that is used in our office is new from the manufacturer. There was a television show that indicated that many orthodontic offices use what are called recycled braces. Recycled braces are ones that have been used before and are cleaned up. OUR OFFICE HAS NEVER USED THESE AND NEVER WILL. Wearing time is determined by a number of factors: the severity of the malocclusion, the overall health of your teeth, gums and supporting bone, your age, and how closely you follow instructions. In general, treatment time ranges anywhere from one to three years. What Other Types of Appliances Might be Used During Orthodontic Treatment? Your orthodontist will develop a specific treatment plan just for you based upon the severity and type of your condition, your overall dental health, your age and other factors. In addition to braces, your orthodontist may ask you to spend some time wearing certain removable appliances, such as elastics, headgear and retainers. Flossing is more important than ever when you have braces. A floss threader, available from your orthodontist or pharmacy, makes it all possible. Ask your orthodontist to show you how to use one and you'll be on your way to having a sparkling, healthy smile! What can you eat or not eat? For most situations, common sense will tell you what to avoid. Hard foods, sticky foods and foods high in sugar must be avoided. Hard foods can break or damage wires and brackets Sticky foods can get caught between brackets and wires. Minimize sugary foods; they cause tooth decay and related problems. Nail biting, pencil and pen chewing, and chewing on foreign objects should be avoided. The purpose of cooperative retainer wear is to help maintain the beautiful smile you have worked so hard to achieve. Everyone's teeth are different, so your retainer wearing time may vary. It is important to remember that when your braces are first removed, your teeth need to be stabilized. Without proper retainer wear, your teeth may shift back to their previous positions. Below are some Do's and Don'ts of retainer wear and care. Wear your retainers at all times, except while eating and drinking. When your retainers are first inserted, it may be a little uncomfortable and speech may be unnatural for a short time. With time and constant wear, the retainers will soon fit comfortably and normal speech will return. Always carefully remove and replace your retainers. If at any time your retainers are rubbing or have rough edges, An emeryboard (fingernail file) may be used to smooth rough areas. Retainers may be worn during non-contact sports activities. Do not wear your retainers with an athletic sports mouthguard. However, an athletic sports mouthguard should always be worn for contact sports activities to help protect your new smile. It is very important to keep your retainers clean. Never use toothpaste to clean your retainers. Toothpaste is abrasive and will dull the shiny, clear appearance of your retainers. Soap and your toothbrush may be used for daily cleaning. A Q-Tip may be used to get into hard to reach areas. Soaking retainers in Efferdent, polident, or Retainer Brite (once or twice weekly) will help remove stains or discoloration. Never immerse in hot or boiling water; the heat will cause distortion and affect the fit of your retainer. Keep retainers out of direct sunlight or heat. If exposed to either, they may become distorted and affect proper fit. Please be sure to keep your retainers away from the reach of pets. REMEMBER: The safest place for the appliance is in your mouth or in your retainer case. Do not wrap in paper napkins as it may be mistakenly thrown away. Do not keep it in your pocket; it will break. Like you, we take great pride in your beautiful smile. Although we understand that sometimes retainer wear can be difficult, we remind you that it is a necessary tool to preserve your great smile for many years to come. Thank you for your cooperation and the privilege of providing your orthodontic treatment. P.S. A beautiful smile is something to share. We welcome the referral of your family and friends. Thank you. Invisalign is a whole new way to straighten teeth invisibly. Invisalign uses a series of clear removable aligners to straighten your teeth without any metal wires or brackets. As you replace each aligner with the next in a series, your teeth will move - little by little , week by week - until they have straightened to the final position your orthodontist has prescribed. Aligners are made through a combination of your orthodontist's expertise and 3-D computer imaging technology. Because Invisalign is nearly invisible....You can straighten your teeth without anyone knowing. Because Invisalign is removable.....You can eat and drink what you want while in treatment. Because Invisalign is removable.....You can brush and floss normally to maintain good oral hygiene. Dr. Bauer is a certified Invisalign providers. Consult with Dr. Bauer about Invisalign Today!